NFL wants to slow the game down even more? One play in a key playoff game . . . and the National Football League goes ballistic! The NFL has decided to introduce the option of reviewing pass interference calls on the field, in real time, moments after the fact. It’s going to be a one-year trial period. Call me old-fashioned, but this is a ridiculous idea! OK, I get that the play in question occurred during a National Football Conference championship game this past season. The Los Angeles Rams won the right to play in the Super Bowl largely on a missed pass interference call in a game versus the New Orleans Saints. The Rams should have been penalized; they weren’t. The Saints lost the chance to win the game and play in the league championship contest against the New England Patriots. Now the NFL wants to prevent future injustices from occurring on the field? Please. The NFL already allows for reviews of calls involving touchdowns, pass receptions, first downs, those kinds of things. Pass interference calls are considered “judgment calls” that until now had been left for the official to make on the spot. May I now declare that I detest instant replay? I do. It slows the game down. It disrupts the flow. It robs players of the momentum they might have. I don’t like it any of the major sports where this technology is deployed. Not in baseball or basketball, either. I know what you might be thinking: This is the same clown — me! — who endorses the use of red-light cameras to deter lawbreakers from running through stop lights at intersections. That’s different. We’re talking about public safety. Thus, I want the cops to have technological assistance to help them do their job to “protect and serve” the public. Professional athletic events are performed and controlled by fallible human beings. 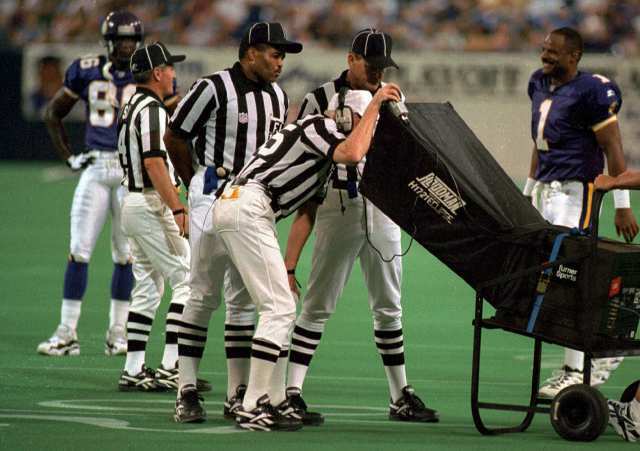 Of all the calls NFL officials make during the course of a game, they get the overwhelming amount of them right. Overwhelming! I get that they missed a big call in one of the biggest games in anyone’s memory. New Orleans Saints fans are still steamed over it. They’ll never get over the theft that occurred that day late in a playoff game. I’m sorry for them. But the sun still rose the next morning. Life went on. No one was physically damaged. Sure, a lot of emotions suffered harm. Hey, it’s a game! Let the players play it and the officials officiate it! I have to stipulate up front that I might feel differently if I lived in the city that is home to a pro football team that got the shaft in the biggest game of the year . . . to date. I don’t, so I’m not going to get all that lathered up over what happened this past weekend to the New Orleans Saints in their NFC championship game against the Los Angeles Rams. The Saints were marching down the field. NOLA Quarterback Drew Brees took the snap at the Rams’ 13-yard line and threw a pass to TommyLee Lewis; Rams safety Nickell Roby-Colman mugged Lewis while the receiver tried to catch the ball. The official didn’t call pass interference or the helmet-to-helmet hit that occurred. The pass fell incomplete. The score was 20-20 at the time. Both teams kicked field goals in regulation, but the Rams won it in overtime. Had the field judge called the play correctly, the Saints could have scored to go ahead in the final seconds and won the game, yes? I have listened to extensive commentary on this mess. Yes, it’s a mess. One official committed a disastrous non-call on what looked to the entire football game-watching world like pass interference. Some sports pundits talked on NPR about theories of conspiracy, the possibility that the “fix was in.” Sheesh! Why not get too worked up? Because the official is a fallible human being, just like all the rest of us. Fallible creatures make mistakes. That’s how it goes, man. Look, I’m not even a fan of instant replay, or “official review” of these calls. I don’t hate them the way I hate the designated hitter in pro baseball, but I just wish we could rely on human beings to make the best calls they can in the heat of competition. Besides, when you consider all the calls these folks make during the course of a 60-minute professional football game, I remain mightily impressed with the overwhelming number of correct decisions they make. Would I feel differently if I lived in New Orleans and saw this play? Would I spit my gumbo out if I watched the official fail to make the obvious call? That’s a hypothetical question, but yeah, I probably would go ballistic. However, I have no particular interest in the NFC championship game, other than wanting the Saints to win. They lost. Besides, if the Saints were the better team that day in the Superdome, they should have put the game away in front of the raucous Big Easy crowd. Now, let’s just get ready for the Super Bowl. Patriots vs. Rams: not the preferred matchup, however . . .
OK, here we go again. The New England Patriots are going to play for their umpteenth Super Bowl championship against the Los Angeles Rams. This wasn’t the matchup I wanted. I already declared my desire to see the Kansas City Chiefs win the whole thing. They were long overdue for another trip to the Big Game; their latest Super Bowl was in 1970, when they beat — while still representing the former American Football League — the heavily favored Minnesota Vikings 23-7. I remain a diehard American Football Conference fan, so I’ll root (more or less) for the Patriots against the Rams. The LA Rams last played in the Super Bowl in 1980 when they lost to the Pittsburgh Steelers. However, the St. Louis Rams defeated the Tennessee Titans in 2000. So the franchise is a recent participant in the big game. So now the Rams, who have returned to La La Land, are back. I didn’t predict the Chiefs would take it all home. It was merely my stated preference. 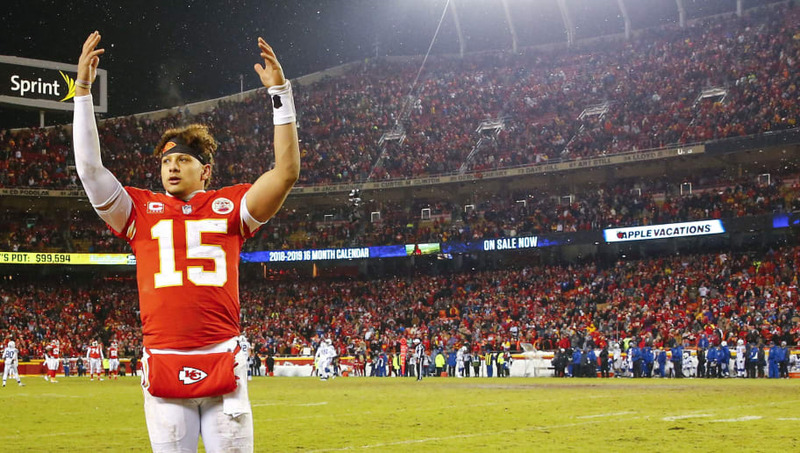 However, having said that, I have to declare that the AFC championship game was incredibly well played, given the utterly frigid temperatures the players endured on the field at Arrowhead Stadium. 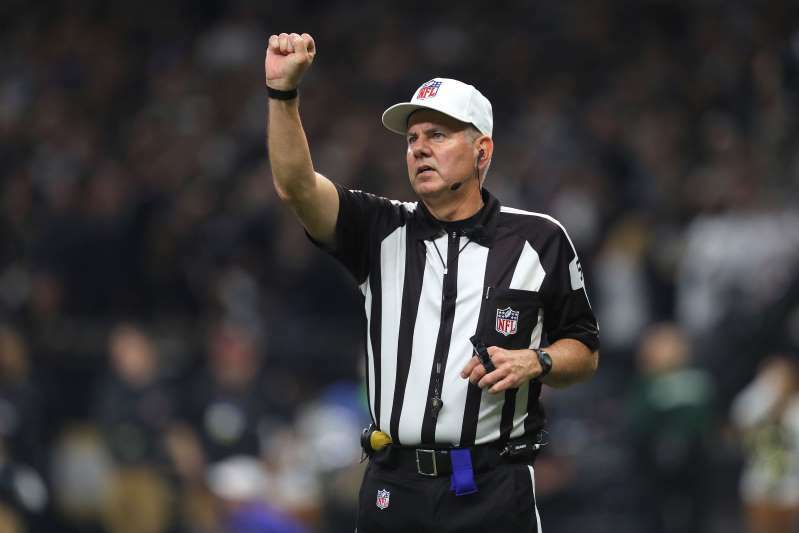 As for the NFC game, I’ll merely say that the refs stole that game from the New Orleans Saints with that remarkably hideous non-call on pass interference. They shoulda called the cops. OK, here goes my selection for the next National Football League championship. I am pulling hard for the Kansas City Chiefs to win the Lombardi Trophy at the end of Super Bowl 53 (or is it LIII?). They play the New England Patriots next weekend for the AFC championship. They’ll play it at Arrowhead Stadium in KC. The NFC championship will be decided between the Los Angeles Rams and the New Orleans Saints; I don’t care about that one, because I have been a long-time AFC fan. My cheering for the Chiefs stems from the fact that they last played in the Super Bowl in 1970. That was 49 years ago, man! Those Chiefs defeated the heavily favored Minnesota Vikings 23-7. They manhandled the Purple People Eaters. Their coach was a guy named Hank Stram, who crafted something called the Offense of the 1970s. He was a dapper dresser who strolled the sideline with his plays written on a rolled-up sheet of paper he carried with him. The KC Chiefs had the misfortune, too, of playing the mighty Green Bay Packers in the very first championship game. The Packers won that game 35-10; it wasn’t even known yet as the Super Bowl. The Chiefs represented the American Football League against the powerhouse NFL titans from Green Bay. They got thumped, but then in the final game representing the AFL, which merged with the NFL, did their own thumping three years later in Super Bowl IV. That was too long ago. The Patriots have been to many Super Bowls over the years. They’ve won their share of them, too. Sure, whoever wins the AFC title game must play the NFC winner at the Big Game. This is the Kansas City Chiefs’ time. At least I hope it is. Super Bowl III: Was it that long ago? Can you believe it? Fifty years ago this weekend, Joe Willie Namath allegedly “guaranteed” that a prohibitive underdog football team would win the biggest game of the year, the Super Bowl. As it turned out, the New York Jets did win that game, 16-7 against the Baltimore Colts. The date was Jan. 12, 1969. One aspect made this game among the most memorable in pro football history. It was the first victory of an American Football League team over a team from the supposedly “superior” National Football League. The AFL and NFL had brokered a merger after the two leagues battled over draft picks out of college. The merger took effect the season after the Jets-Colts Super Bowl III game. Three NFL teams — the Colts, Cleveland Browns and Pittsburgh Steelers — moved into what became the American Football Conference, which competed with the National Football Conference in the newly reconstituted NFL. The AFL had come into being in 1960. The new league proved to be an entertaining venture for football fans. I was one of them as a youngster. I followed the AFL closely during its early years, cheering the exploits of Daryle Lamonica, John Hadl, Len Dawson, Cookie Gilchrist, Paul Lowe, Keith Lincoln, Lance Alworth and, oh my . . . I could go on. But I won’t. The AFL then landed a prize rookie out of Alabama named Joe Namath. 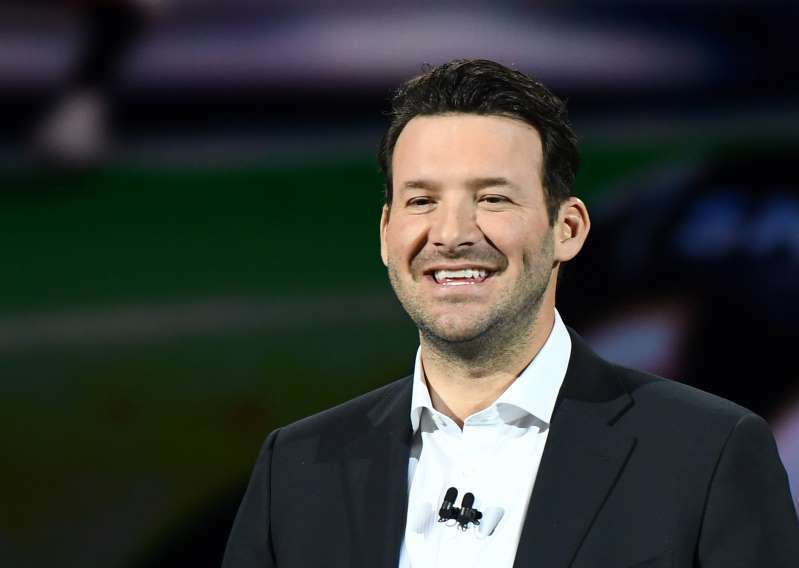 The flashy quarterback became an instant celebrity. He signed a $400,000 contract with the New York Jets. The leagues met in two prior Super Bowls. The Green Bay Packers defeated in order the Kansas City Chiefs (35-10) in 1967 and the Oakland Raiders (33-14) in 1968. Then came Super Bowl III. The Colts were favored by nearly three touchdowns over the Jets. Namath wasn’t hearing that. He made some kind of semi-flippant remark to reporters that many of them interpreted as a “guarantee” that the Jets would win. Then they did. They manhandled the Colts. The AFL had gained “parity” with the NFL. And Joe Namath had just written his ticket to the Pro Football Hall of Fame in Canton, Ohio. 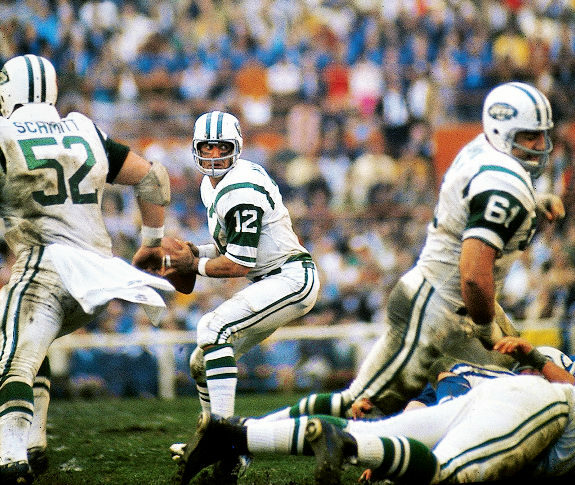 Allow me this bit of heresy, which is that Namath’s role in defeating the Colts is the only reason he is enshrined in the Hall of Fame in the first place. His career was otherwise, shall we say, not exactly sparkling. I won’t debate the issue here, except that one game can enable someone to gain athletic immortality. Joe Namath did on that day 50 years ago. Man, some of us are getting old. I don’t know when — or even if — soccer will ever catch on in the United States the way it has in much of the rest of the world. Indeed, the game we call “soccer” is known as “football” in places like Mexico, Brazil and in most of Europe. The Spanish term for “football,” by the way, is “futbol.” Get it? The World Cup is over. 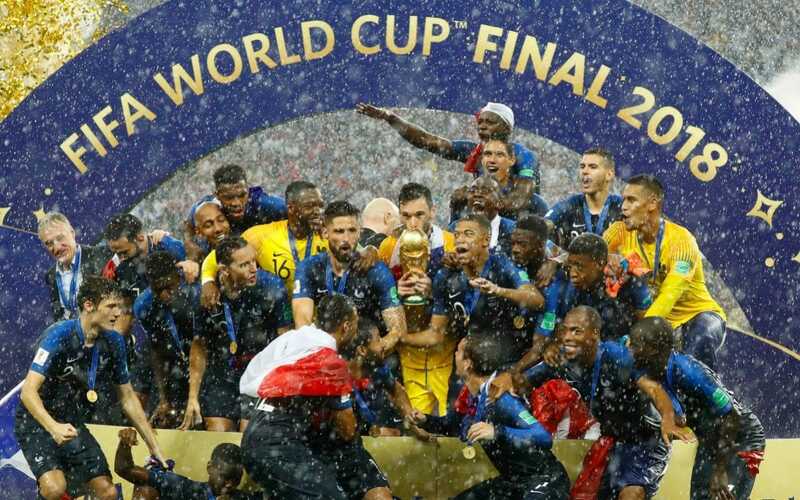 They’re going nuts throughout France, which defeated Croatia 4-2 in the final game. I’m glad for the French. It’s their second World Cup title. To be candid, I remain decidedly lukewarm toward soccer. It just doesn’t thrill me the way it would, say, my extended family members in Greece, where soccer is a big deal, too. I’ve been exposed once in my life to World Cup fanatacism. It happened in June 2006. My wife and I were in Copenhagen, Denmark. We caught up with some friends from Amarillo, Texas, who were in Copenhagen attending the same Rotary International Conference as my wife and me. We were strolling through the city looking for a place to eat. We would stick our heads into this or that restaurant. They were full. Everyone was watching TV. Oh, what were they viewing? A soccer match between Denmark and (I believe it was) neighboring Germany. The Danes were screaming their lungs out at every move their national team made on the field, er, pitch. We could hear them from everyone eating establishment up and down the street. The four of us had difficulty that evening finding a place to eat. We finally did, though. My point is that I had never witnessed such soccer/football fervor. It consumes Europe, Latin America, as well as portions of Asia and Africa. I still get worked up over the Super Bowl and the World Series. The World Cup? Not so much. I’m afraid to tell my soccer-loving friends that at this stage of my life, the World Cup isn’t likely to hook me. Why do simple ceremonies become such hassles? Presidents of the United States have been doing these kinds of things for, oh, about as long as anyone can remember. Professional sports teams win championships. They get invitations to come to the White House to receive a nation’s congratulations delivered by the head of state. They have a few laughs. They take plenty of pictures. They hand the president a ceremonial jersey, usually with the name of the president and the No. 1 on the back. That’s not how it goes with Donald J. Trump in the White House. Oh, no. He decides to weigh in on a controversy created by young men who decide to “take a knee” to protest police brutality. The president goes on the stump and says something about team owners firing any “son of a bi***” who declines to stand for the National Anthem. The players object. Some of them don’t want to go to the White House. The president disinvites them. Then all hell breaks loose. Other athletes condemn the president. The White House responds. Back and forth it goes. The Philadelphia Eagles won the Super Bowl. Most of the team accepted a White House invitation. Then most of them backed out. The White House issued a critical statement that accompanied a picture of Eagles players kneeling in prayer prior to the start of a game, but then said falsely that they were “taking a knee” out of protest. The president has managed to turn feel-good ceremonies into a sort of political demonstration that does nothing but engender harsh feelings. This is how you “unify” a nation? This is how you define “winning”? Trump tells Eagles to stay away? Good grief! 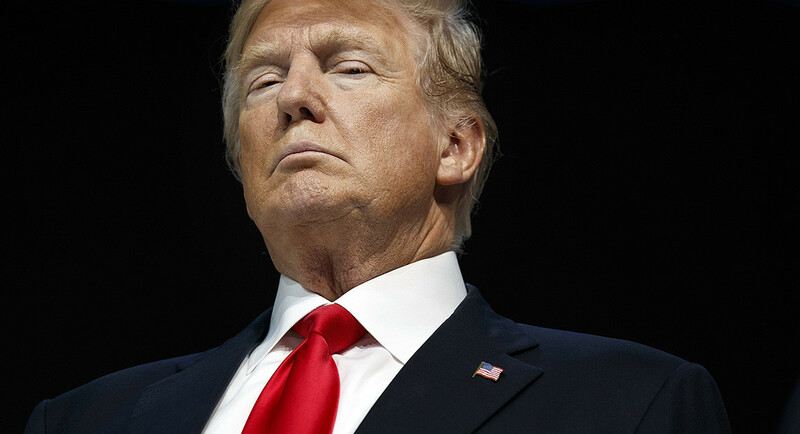 Donald J. Trump’s petulance has reached an astonishing level, although it’s hard any longer to keep up with his guy’s sense of outrage. He has told the Philadelphia Eagles to stay away Tuesday from the White House. The Super Bowl champions were supposed to show up for a little ceremony, some happy talk from the president about their athletic prowess. They were going to have a few laughs, exchange some good tidings with the sports fan in chief. Oh, but that “take a knee” matter got in the way. Some of the Eagles were going to boycott the meeting because of Trump’s public shaming of pro football players who kneel during the playing of the “Star Spangled Banner” before a game. They protest police conduct and their enforcing the law when it involves African-Americans. The National Football League has just instituted a policy requiring players to stand during the Anthem’s playing. Trump applauded the NFL decision. Good grief. Now the president has taken it all to a new level by telling the Philadelphia Eagles to, um, just stay away. I just want to remind the president that the players’ protest has nothing at all to do with honoring the “great men and women of our military.” It has to do with a perception of police brutality. The athletes, as near as I can tell, are protesting peaceably. And I am quite certain that every single one of them loves our country as much as the president does. They just want to see some changes made. Normally, I might be a bit down in the dumps over the result of a Super Bowl contest that ended the way Super Bowl LII did. You see, I am a fan of the American Football Conference. I root for the AFC team over the National Football Conference team in the big game. I have rolled that way dating back to the original AFL-NFL Championship Game, in 1967, when the Kansas City Chiefs lost to the Green Bay Packers. 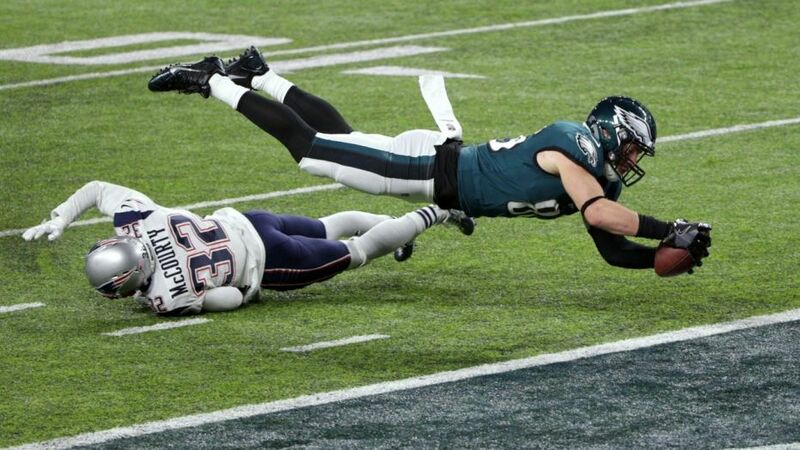 This year, the Philadelphia Eagles outscored the New England Patriots in a barn-burner. Why aren’t I saddened by the outcome? 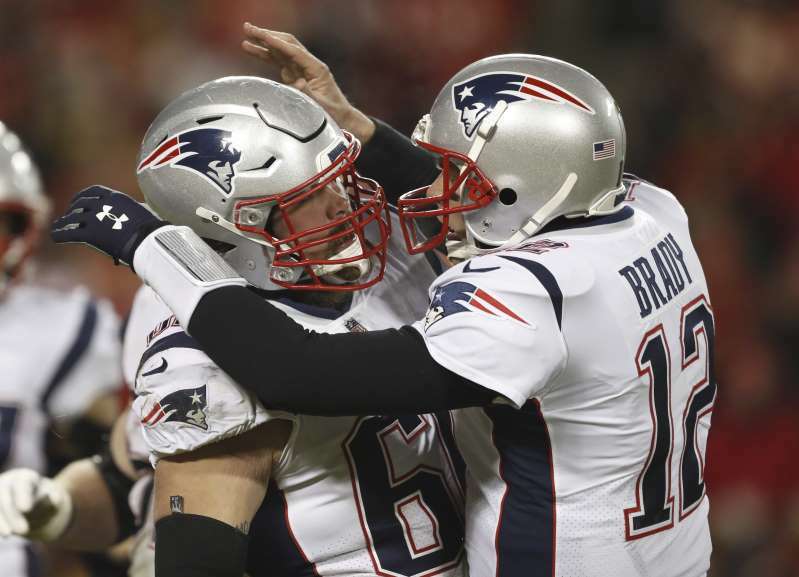 The Patriots have won more than their share of Super Bowls. Head coach Bill Belichick and quarterback Tom Brady sought their sixth Vince Lombardi Trophy together. The Eagles had been denied the fruit of victory in their previous two attempts: once by the Oakland Raiders and once by, that’s right, the Patriots. So it was their turn Sunday to bring home the coveted trophy. It’s hard to feel too badly for a sports franchise that has won so much for so long. As for the underdog upsetting the favorites, I return to one of my favorite sayings about such things: That is why they play the game.